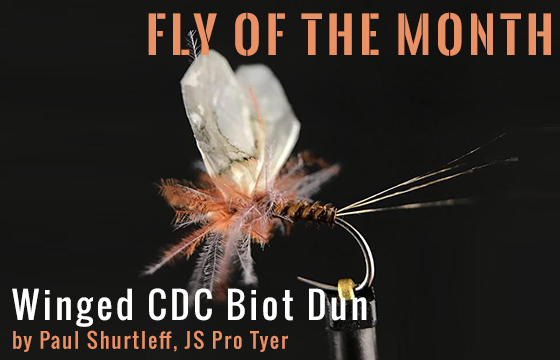 This entry was posted in Fly of the Month, J. Stockard Pro Tyers and tagged fly fishing, fly of the month, fly tying, fly tying instructions, fly tying materials, pro tyers on July 30, 2018 by Paul Shurtleff. As my good friend Tom often says with a sheepish grin, “It’s not that I am opposed to learning, I am just not very good at it!” Sad to say, I have the same problem when it comes to things I do on the river (and in other areas of my life). There are things I keep doing and oddly enough, when I keep doing the same thing, I keep getting the same result (who would have thought?!). My hope is that my confessions and solutions will save you time and money and that I will start following my own advice! This entry was posted in Fly Fishing Life, Joe Dellaria, Learning From The River, Our Regular Contributors and tagged fly fishing, fly fishing life on July 23, 2018 by Joe Dellaria. Going back a few eons here…it can be fun to remember the progressions and epiphanies of our angling and tying journeys. From time to time I take a look at the odd tying tool, be it mainstream or nouveau, and how it fits into my tying. This entry was posted in Fly Tying Materials & Supplies, Fly Tying Tips & Tools, Michael Vorhis, Fly Fisher & Author, Our Regular Contributors and tagged fly fishing, fly tying, fly tying advice, fly tying tools on July 16, 2018 by Michael Vorhis.